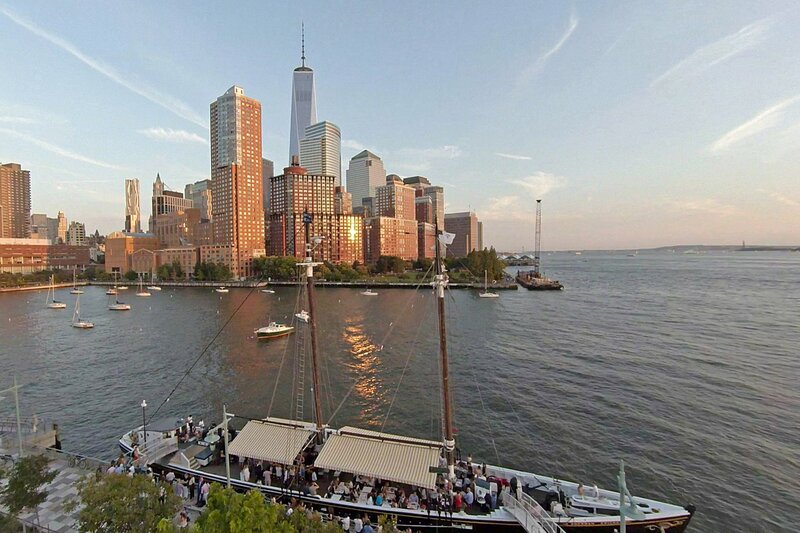 Rooftop Bars have been all the rage of late in big cities, from New York to L.A. and everywhere in between. 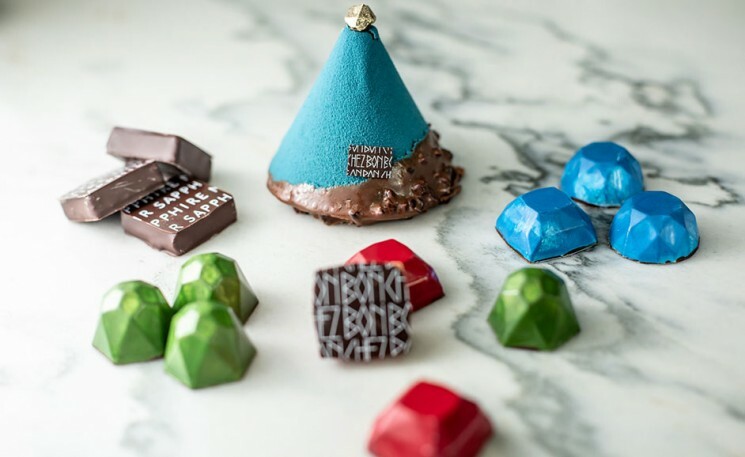 And while this trend shows no sign of stopping, with more and more watering holes opening up atop dormant rooftops, most are suited for drinks and appetizers and are not true outdoor dining destinations. If you’re yearning for a more complete al fresco dining experience this summer, we’ve got you covered from coast to coast. 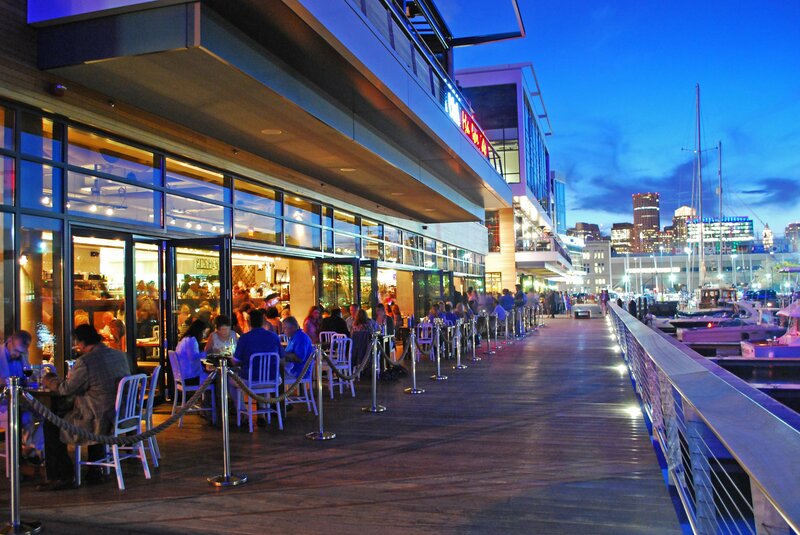 Here’s our list of the best restaurants in the U.S. for every type outdoor dining experience. While Oelana (Cambridge, MA) might be the most coveted outdoor table in Boston—chef Ana Sortun has been praised by both the New York Times and Boston Magazine as recently as 2016—it’s size makes it tough to get a table, especially on the patio. For this reason we’ll steer you toward another Boston institution; one that you should not have a difficult time getting a table at. That’s because as popular as Legal Harborside at Liberty Wharf is—this relatively new offering from Legal Sea Foods (a Boston area staple) is also enormous. But fret not at the size. 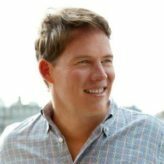 Legal Seafoods knows how to scale without compromising on quality or service. Like any of the other locations, you can always find a great bowl of clam chowder, numerous types of freshly caught, simply grilled, delicious fish and a plethora of craft brews on tap. For al fresco dining you have the option of fully outdoors or a roof over your head, but still the comfort of open air. 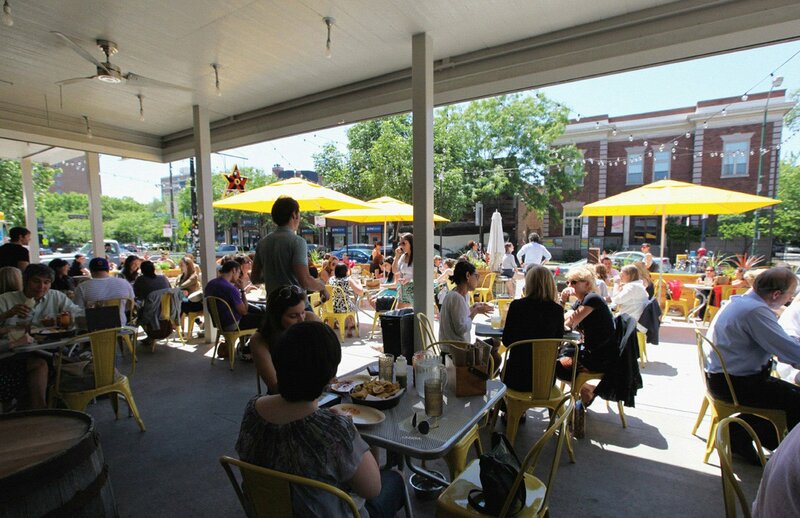 There is also outdoor seating in what they refer to as “4 seasons seating,” complete with heating lamps and protection from the wind for comfortable outdoor seating anytime of year. 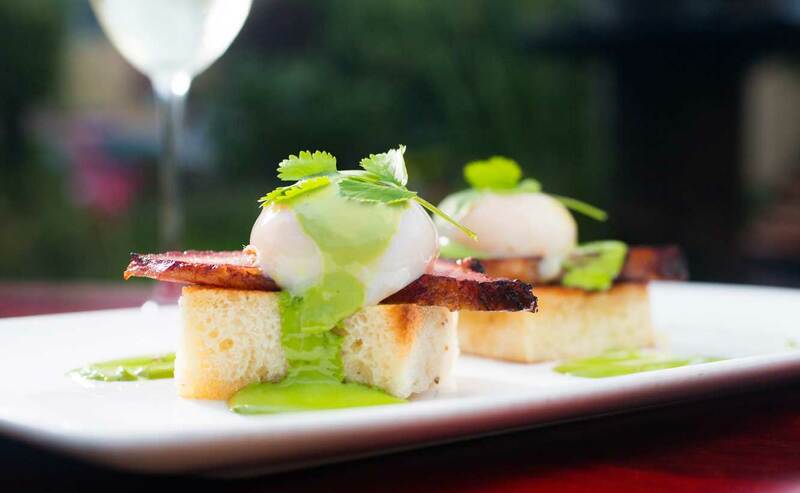 OK, we’ll admit, Grand Banks is not exactly a culinary endeavor—they specialize in oysters, though their lobster roll, sea scallops and ceviche are all very good—but their venue is so unique that they still made our list. 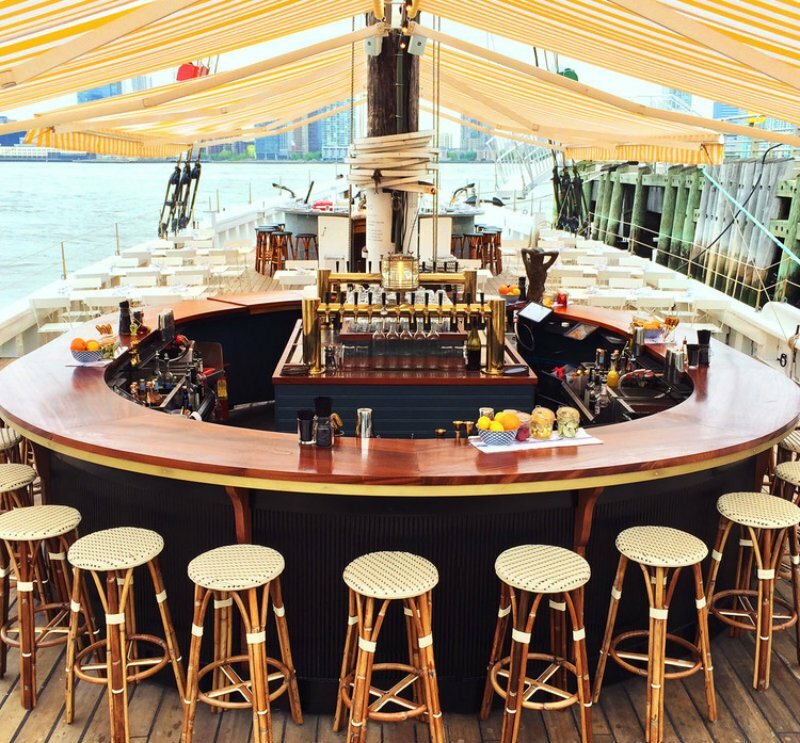 A stunningly beautiful oyster bar aboard the historic wooden schooner, Sherman Zwicker—docked at pier 25 on the Hudson river in Tribeca—GB has been one of the hottest apre work destinations in the city since it opened in 2014. Let’s face it. As good as Mexican food is in places within close proximity to Mexico (i.e. SoCal), you can find good Mexican food just about anywhere in the U.S. these days, especially in big cities. And Chicago is no exception. If you have a relative who lives below the Mason-Dixon Line, at some point, they’ve probably preached the gospel of “good barbecue” at you. Down south, it’s, unquestionably, serious business and less a way to kill a lazy Sunday evening than an art form. That is certainly the case at Fort Worth’s Woodshed Smokehouse, on the banks of the Trinity river. 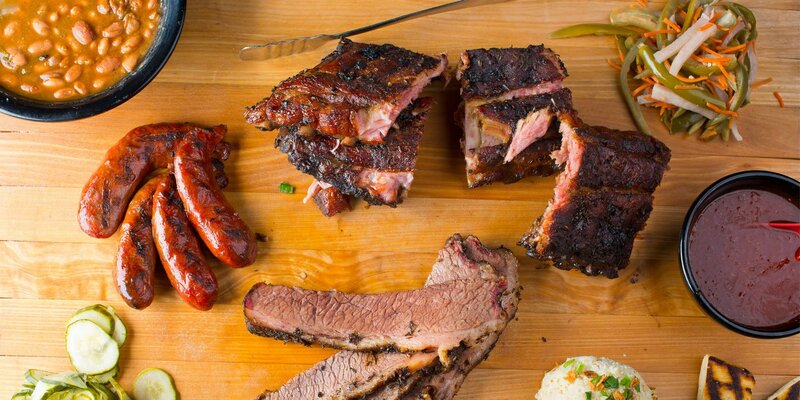 Chef and Texas native Tim Love, who opened this Temple o’ BBQ in 2012 calls his dreamchild a “homage to all things grilled, roasted and slow-cooked.” It’s been drawing crowds like flies to a rib roast ever since. 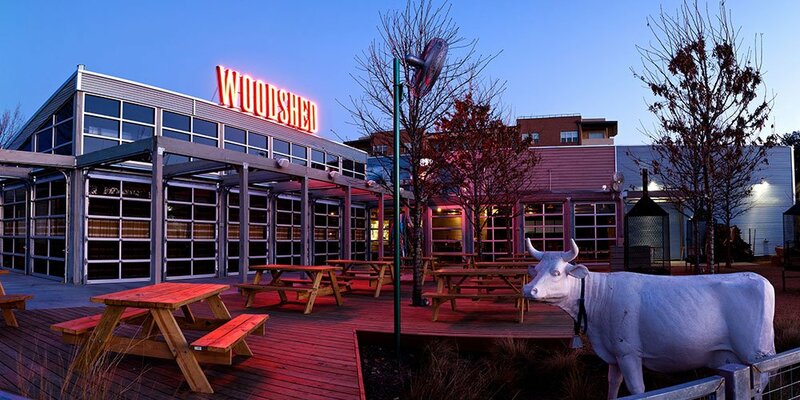 The atmosphere here is a mish-mash of “shotgun shack” and “bistro,” overall a modernized but sincere tip of the hat to Fourth of July BYOBs and long-gone Texas honky-tonks. Picnic tables and wood smokers can be found forming an “aw shucks, what the hell?” alliance with stainless-steel fixtures and the sort of sleek decor typically reserved for sky bars. 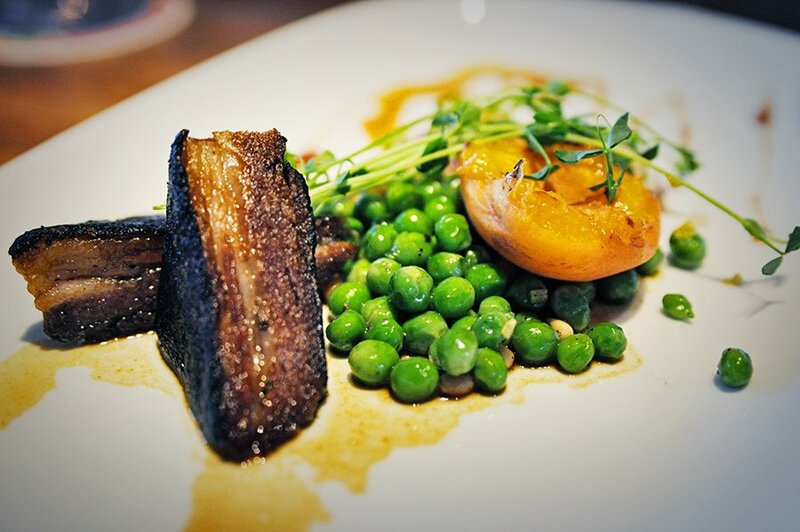 Like the Smokehouse’s unpretentious but contemporary mis en scène, Love’s menu is a mix of old and new. Using time-tested techniques and ambitious innovation, the chef’s crew dishes up fare like a “16-hour Smoked Beef Shin,” a hearty combination of fresh ricotta, chilies, and smoked oil served with borracho beans and roasted beet salad alongside a, well, big ol’ slab of mouth-watering, slow-cooked beef. 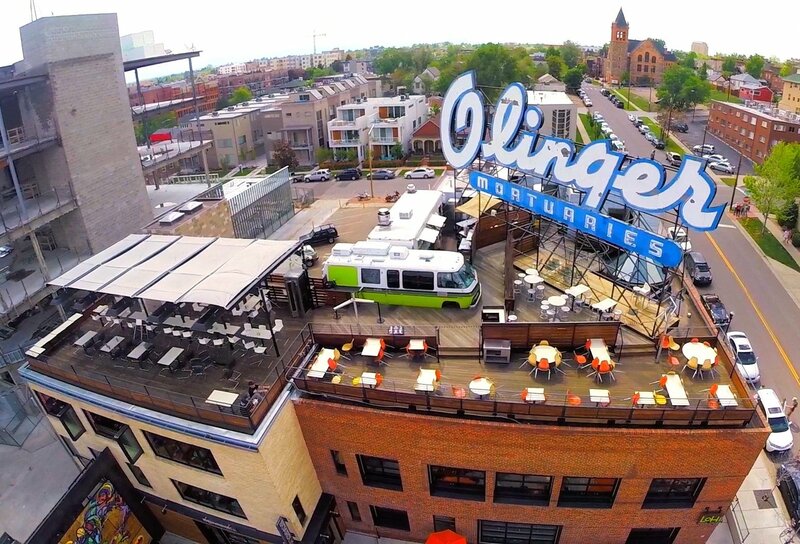 Opened in 2011 in Denver’s hip “LoHi” neighborhood (short for Lower Highland), Linger embodies Colorado’s bohemian spirit and style. Chef/owner Justin Cucci’s 1975 RV-turned food truck (which had to be hoisted by crane to the rooftop) dishes out groovy street food—think Fish Tacos, Falafel Lettuce Wraps and Mongolian BBQ Duck Buns (available in vegan, gluten-free, and nut-free options of course). And during happy hour the prices are also very 1975 ($5 craft cocktails, $1 drafts). The main dining area, with it’s open kitchen, exposed pipes and rafters and mix of metal and wood is equally hip, albeit in a more sophisticated manner. Enjoy a mix of the same global flavors as the food truck, in larger portions, with nicer presentation and of course at higher prices. Some reviewers on Yelp may lament the cost and busyness, but what do you expect from a popular restaurant in #hipsterville. As for the view? Nothing to debate here. The Denver skyline is breathtaking. The Rocky Mountains behind it are even more breathtaking. On a clear day you can see Pikes Peak. Enough Said. 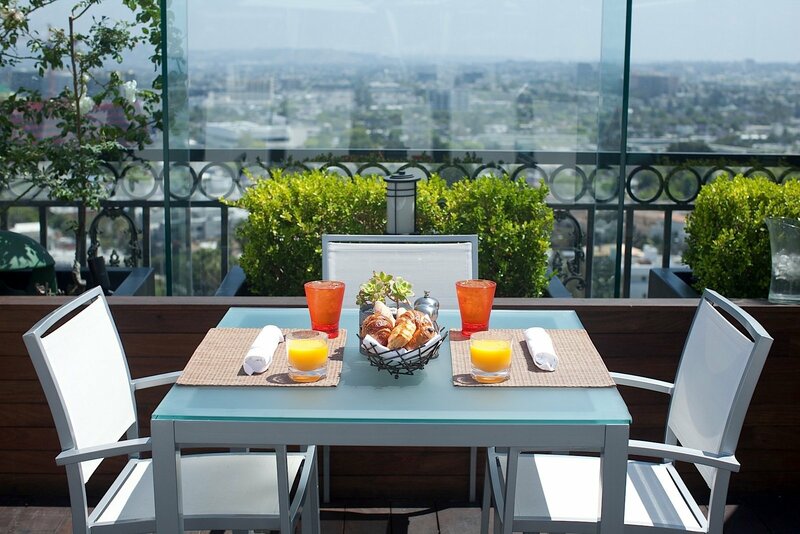 With its sweeping city views and playfully sophisticated vibe, Boxwood on the Roof (at the London Hotel) offers guests and locals alike the perfect oasis for al fresco dining and mingling. Known for his inventive and playful twists on New American cuisine and the top trending seasonal ingredients, Executive Chef Anthony Keene has created a vibrant new menu that takes each guest on a gastronomic adventure. Chef Keene’s summer menu reflects the eclectic tastes of the hotel’s global clientele while remaining true to its relaxed modern atmosphere. Menu items vary from the more casual but tasty “shared plates” (Tacos, Ginger Chicken Meatballs, Glazed Lamb Ribs) to the more upscale main menu items (Spring Tortellini with Morel Mushrooms, Pea Shoots and Maine Lobster; Salmon with Meyer Lemon Purée, Picholine Olive and Ras el Hanout; or the “Classic-Cut” Black Filet Mignon with Béarnaise). 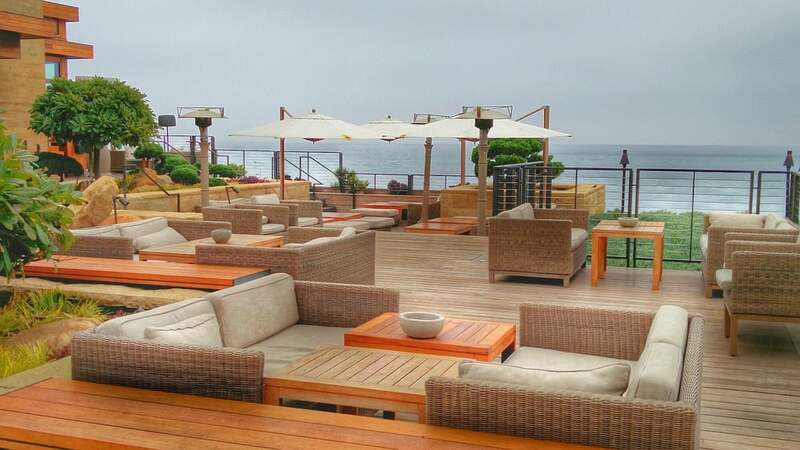 Nobu Malibu has been a staple in Los Angeles since 1999 but only recently moved to it’s new beachfront property on the Pacific Coast Highway. Views of the ocean are available from nearly every seat—including a beautiful14-seat bar with views of the Pacific Ocean—but on warm nights the outdoor patio seating is what makes Nobu Malibu’s new location really standout. Reservations are strongly encouraged and can be made up to one month in advance. The Sushi Bar and Bar area offer full menu dining and are on a first come first serve basis. Known for exquisite cuisine featuring Nobu Matsuhisa’s signature dishes such as Tiradito, Yellowtail Sashimi with Jalapeño, and Black Cod Miso, Nobu Malibu is perhaps Chef Matsuhisa’s most impressive offering yet. Not a huge sushi fan? The new location includes some other Malibu favorites created by Executive Chef, Gregorio Stephenson, including Ribeye with Truffle Butter Sauce and Crispy Maui Onions, Heirloom Tomato and Snapper New Style, as well as Kobe Beef with Crispy Shiitake Mushrooms and Sugar Snap Peas. Thirty-five years ago, when Napa Valley was mostly farmland, and Michelin Star restaurants were reserved for European destinations, French restaurateur Claude Rouas and business partner Bob Harmon opened the area’s first fine-dining restaurant, followed by a casually-elegant inn reminiscent of Provence. Today, the full-service Napa luxury resort is as fresh and forward-thinking as when it first opened, continuing to pioneer a new style of relaxed luxury. The hotel has maintained its legacy as a culinary destination, where innovative menus inspired by the bounty of Napa Valley are paired with wine in ways that delight and inspire longtime devotees. Executive Chef Robert Curry showcases the freshest, seasonal ingredients, sourced locally to provide dynamic and delicious Restaurant, Bistro & Bar and Private Dining experiences. As for the view. Auberge has one of (if not THE best) views that you will find in Napa Valley—whether it be from a restaurant, winery or any type of luxury estate. 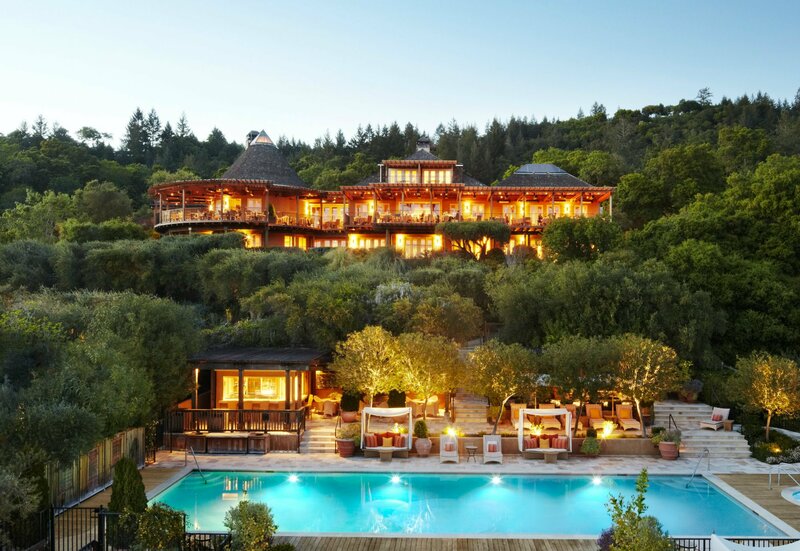 Nestled high in the eastern wall of Napa Valley, it boasts a deck affording views (on a clear day) all the way to the Mayacamas Range, the natural divide between Sonoma and Napa counties. 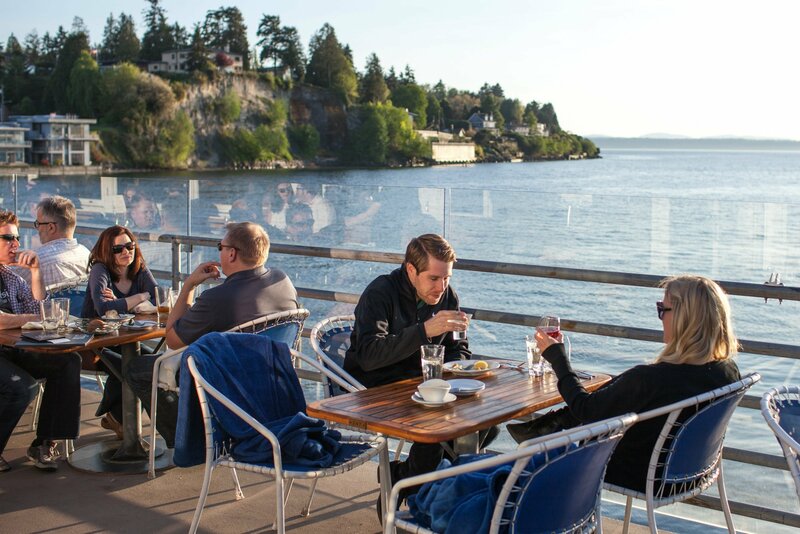 From their signature clam chowder to in-house smoked salmon, piping hot steamers and small plates, Rays Café is a institution among Seattle’s foodies and leisurely folks. Enjoy super fresh seafood (other favorites include Wild Alaskan Salmon Sliders with arugula, tomato, aioli; Dungeness Crab Cakes with sweet corn succotash, remoulade; and “True” Cod Fish & Chips with Cilantro slaw and house-made tartar), 20 microbrews on tap, extensive wines and craft cocktails—with a side of warm hospitality. This all comes with a gorgeous, perfectly framed view from their always-happening deck—the backdrop of Puget Sound and Olympic Mountains that is hard to beat in even in the Emerald City. Dine in the most stunning ocean front location in Maui, directly on the point of majestic Kapalua Bay. Chef Peter Merriman, a pioneer in the “Farm to Table” concept, and known for his unique take on regional cuisine, serves only the freshest products, at least 90% of which are locally grown or line caught at his namesake restaurant Merriman’s Kapalua. 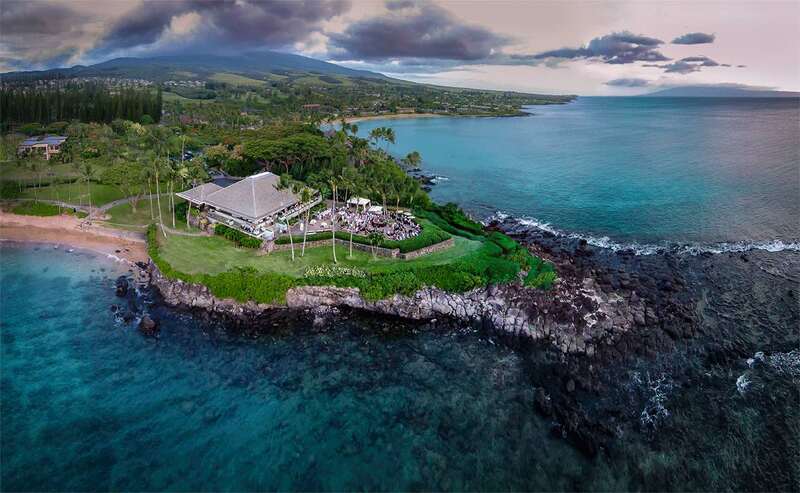 As for the view, their preeminent oceanfront setting is a must-visit destination, offering guests an incredible 180-degree view from the Kapalua to Napili Bay. With the crashing waves and breathtaking Maui sunset as a backdrop, guests can indulge in Hawaii Regional Cuisine, an award winning menu of locally sourced ingredients, and a taste of the state’s multiculturalism.